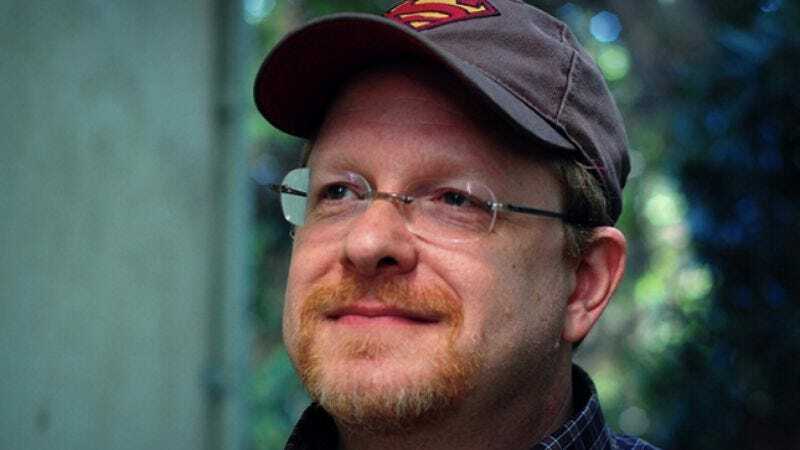 A mainstay of superhero comics for more than 20 years, Mark Waid has been responsible for some of the industry’s best titles, including beloved runs on The Flash, Captain America, and Fantastic Four. His ability to find the core concept of a hero and craft meaningful stories founded in that idea makes him one of the best fixer-uppers in comics, and he’s developed a reputation for putting floundering properties back on track. This year, his critically acclaimed Daredevil earned six Eisner Award nominations, just as Waid prepares to explore new territory in the frontier of digital comics with the website Thrillbent. Waid recently talked to The A.V. Club about his experiences at Marvel and DC, balancing Silver Age concepts with contemporary storytelling, and how the digital movement is changing the way comics are created and distributed. The A.V. Club: When did you know you wanted to work in comics, and how did you break in? Mark Waid: I knew I really wanted to work in comics in 1979. It was pretty easy. I was a teenager, and I went to see the Superman movie, and up to the point I walked into that movie, I was a kid with no direction and no real purpose and no strong parental figures, and kind of aimless. I walked out of that movie knowing that whatever my life was going to be from then on, it had to have something to do with Superman, because something touched me emotionally with Christopher Reeve’s performance. I felt like I was a kid nobody cared about, and the thing about Superman in that movie that Reeve portrayed so beautifully is that Superman is a guy who cares about everybody. It took me another 25 years to articulate that, by the way, but once I did, I realized that has as much to do with my strong emotional connection to that movie as anything. So I’d always read comics up to that point, but that was the point where I knew I needed to be in comics somehow. But there were drawbacks. One was that I wasn’t an artist, and another one was that I wasn’t a writer. At least I wasn’t a fiction writer. I had done some reporting for the school newspaper and stuff, but I never had any aspirations about being a fiction writer. I broke into comics by working as a press reporter for the industry, for a trade press in comics, and reporting on events and reporting on books and so forth, and I got to know some of the editors at DC Comics in the mid-’80s. From there, I got invited to be an assistant editor on staff, and I thought that was the perfect ticket, because I didn’t think I could write fiction. I just thought my goals were going to be editorial, and at that point in my life, I honestly thought being an editor at DC Comics was going to be my long-time career, and I was going to retire from there with a gold watch when I was 65 years old. AVC: How did your time as an editor help with the transition into a writing career? When did that writing spark first hit? MW: I dabbled a little bit. I’d written a couple of stories, but nothing of note. But what happened was, really, being an editor there, I was working on their anthology books, like Secret Origins or Christmas With The Super-Heroes. I was in a unique position up there. As an editor, I was working with literally every comic-book writer in the industry who was working for DC at the time. Everybody from Neil Gaiman and Grant Morrison to John Ostrander to Christopher Priest. Name them, and I was editing their work. All those scripts coming across my desk from all these different writers every month—normally when you’re an editor, you’re editing a slate of four or five books, which means you’re working with maybe three or four different writers at any given time. But I was working with the entire industry. In the two years I was an editor up there, it was like boot camp. I learned more about scripting by reading and studying those scripts in the two years that I was an editor up there than I would have learned in 10 years on my own. When I left editorial at the end of 1989, I had an itch. I felt like maybe I could do this. I certainly didn’t think I could do it for 25 years. I’m not sure I knew I could do it for 25 months, but I figured I could at least give it a whirl. As luck would have it, I’ve not had to look for a job ever since. AVC: You’ve done superheroes as political allegory in Empire and Fantastic Four. Right now you’re doing them as a celebrity allegory in Insufferable. In general, what does the concept of a superhero mean to you? MW: What it means to me is something I’m sort of protective of on an emotional level. A superhero is someone who, at some point or in some way, inspires hope or is the enemy of cynicism. Even if you bog it down with political allegory, or even if you’re doing celebrity allegory, or in the case of Irredeemable, it was very much an allegory of how the Internet and social media and celebrity conspires against the famous, and how that shapes us in this day and age. You still need to take the cynical out of it. I think there’s plenty of room in comics for cynical stories and cynical storytelling, and that’s a perfectly valid way of approaching your work, but I don’t think it belongs in the superhero comic, because I don’t think superheroes are cynical. I think superheroes are about flying. They’re not about moping. AVC: Your work tends to balance the idealistic, Silver Age concept of the superhero with those grim-and-gritty aspects, especially in Daredevil right now. How do you balance that? Is there a conscious effort? MW: There is a bit of a conscious effort, because it’s not like it’s an obstacle or a challenge to make it veer from the Silver Age. I’m informed by that material. I’m informed by the bright, happy, shiny superhero stuff of my youth, but it doesn’t dictate what I do any more than the music you listened to when you were a teenager informs what you do as a musician today, or the work you read as a kid inspires the work you do as a novelist today. You take bits and pieces, but it’s not that imprinted in me. I guess what I’m trying to say is that I like that material. I like the brighter, shinier, happier material on a personal level, but I also think the best stories are told where you just don’t know from page to page or moment to moment when the sucker-punches are coming. Anybody can tell a goofy, bright, shiny Silver Age superhero story if they want to, because there’s no emotional consequence. There are no repercussions to people’s actions. There’s no real sense of drama or danger. Those are very important parts of heroic fiction. I feel it’s incumbent upon me to keep shaking you up as a writer, to keep you on your toes so every five or six pages, every time you think everything is chuckles and light and everything is going pretty breezily, then suddenly somebody gets kidnapped and sent to the bowels of hell. Or somebody loses a limb, or somebody has some horrific shock about their past they didn’t know. I really like that sort of keeping you on your toes, knocking you off your pins as an audience. I think that’s a very important part of the craft. AVC: What’s the first thing you do when you take on a long-term superhero assignment like Flash or Fantastic Four or Daredevil, assuming Daredevil is long-term? MW: It is. They’re going to pry that out of my cold, dead fingers, man. What you do is, you take it back to center. You take whatever parts of it have been grafted on by well-meaning but poorly executed creators in the years since, and you pare the detritus away, is what you do. My job—it was true of Superman: Birthright, it was true of Fantastic Four, it was true of Daredevil—is to go off in a room and think about those characters and think about all the reasons I love them. I look at them as like tarnished gems. My job is to get out a cloth and shine them up and make them glisten again, and show you why I love those characters, and what it is about them that I respond to on an emotional level. A lot of times, that means either ignoring years of continuity, or stripping certain things away, but basically getting everything back to a primal level. I don’t want to say back to basics, but back to center is probably a better way of saying it. Once you’ve got a good foothold in the center, then moving away from there. I think modern superhero comics in particular traditionally do a very poor job of, on a routine basis, just reminding you of who these characters are, why they do what they do, and what they want. I challenge you to go into a comics store tomorrow and find me 10 comics that you can read and come away from them being able to answer those questions. I think that’s very important in serial fiction, to be able to remind people from time to time of those three things. I think that’s the first thing you do. You go back to those characters, and you make sure the reader comes away from that first issue knowing who they are and what they want, and most importantly, why they do what they do that is unique to them. AVC: Marvel has those .1 issues that reintroduce the characters and the world, but essentially, every issue should be a .1 issue. MW: Yeah, they really should. I think with Daredevil #10.1, we did that with purpose. This is what I think a .1 issue should be, which is not a No. 1 issue. It’s not like a brand new start for your series, but I really want you to come away with a sense of, if you’re brand new to this book, here’s what you need to know. AVC: At the same time, the last two issues did the exact same thing. Every issue, readers will know exactly what’s going on with Mega Crime, and what everyone’s relationship is. MW: Every once in a while, you’ll get some criticism from a fan who goes, “Yeah, yeah. I know all about Mega Crime. Stop beating a dead horse.” And I’m thinking, “Look, it’s awesome you’ve been keeping up with the book, but have some mercy or compassion for somebody who might be picking it up for the very first time.” I’m sorry I’m taking a precious five seconds out of your life to do a recap action, but we’ve got to expand the audience. We can’t keep expanding the audience if we just keep feeding them impenetrable plots where they feel like they’re coming into the middle of a movie. AVC: The Avengers just made a billion dollars. If a fraction of 1 percent of those people bought one comic, that would be the bestselling comic of the year. How do you think superhero comics can attract that audience? How do you think comics in general can attract that audience? MW: It’s really hard. I honestly think that if there is an answer, it involves digital. The problem with comics, and I’ve said this before, is that we have over the past 50 years very, very successfully taken what used to be a mass medium and successfully turned it into a niche market. Which is crazy, the idea that comics are a destination point now, that I can’t find them anywhere. If I’m in the middle of the country, I have to get in a phonebook and see if there’s a store within 100 miles of me that even carries comics. This is why you don’t see mass advertising for comics during movies, during the trailers. This is why you don’t see mass advertising for comics in, say, a “Got milk?” sort of ad campaign. There’s no “Got comics?” campaign. It’s not because we don’t want people to read comics. It’s not because that’s not an interesting way of advertising comics. But let’s say you’ve gone to see Avengers in a multiplex in the middle of Alabama. Let’s say Huntsville, Alabama. I’m pulling that out of the blue. And you leave that theater going, “Oh my God, now I’m stoked about the Avengers, and I saw this great trailer or commercial before the movie for Avengers comics. I gotta have an Avengers comic.” Well, where the hell are you going to go? [Laughs.] You know? You can’t go to the 7-Eleven. You can’t go to the mini-mart. You can’t go to the drugstore. You can’t go to the grocery store. If you’re lucky, there might be a comics store in the northern half of Alabama. I don’t know if there is. There may be one. It’s wasted advertising. You can do that with milk because everybody knows where to find milk. You can do that with beef, “That’s what’s for dinner.” If I see a commercial for beef, and I suddenly decide I want beef, I know where to find beef. [Laughs.] Comics is a different thing. The beauty of digital, the beauty of the iPad, the beauty of mobile devices is that that’s the new newsstand. That gives us the potential to reach out to people and give them comics on a platform that is as ubiquitous to them as convenience stores were to you and me when we were growing up. That doesn’t mean they’ll automatically find comics. It doesn’t mean that is an automatic fix. I’m not saying that because we sold a million iPads today means that there’s a million other people going to read comics next week. But at least there’s a fighting chance. There’s a much better chance to reach them through the iPad than through comics stores. AVC: You’ve worked for Marvel and DC extensively. What do you feel are the main differences between the characters and the companies? MW: As far as the characters, the biggest difference is that the Marvel characters are all human. The Marvel characters are all about the human condition and all about characters with feet of clay, whereas the DC characters are gods. That’s really what they are, even if you’re talking about Green Lantern and Flash, and the B-level characters like Aquaman. They’re still basically gods. They’re costumes and powers and icons first, and personalities and foibles and weaknesses second. That’s not necessarily a bad thing. To my frustration, I constantly hear people upset that they can’t relate to Superman or Batman the way they can relate to Spider-Man or Captain America. My feeling is that maybe you’re not meant to relate to them the same way. That’s fine. It doesn’t mean they’re necessarily better or worse characters. It means that they serve different purposes. I think DC characters tend to skew toward a younger audience. I think Marvel characters have always skewed toward a slightly older audience. As you get further into heroic fiction as a reader, once you get past superheroics and the superpowers, you want to get into the characters themselves. That’s where the Marvel characters have a history of being richer characters. Getting back to the Avengers movie, I think if you put seven Justice Leaguers in that movie instead, I think it would have been a colossal failure. I love those characters. I love those characters probably more than I love the Marvel characters, but that’s because I’ve had my entire life to think about them and decide who I think they are, and I’ve written most of them, so I’ve gotten inside their heads in ways most people don’t. But as a general audience, I think you’d have to work really hard to put the same kind of emotional meat on those characters that Joss Whedon was able to with Iron Man and Captain America and everybody else in the Marvel movie. AVC: It’s like Thor vs. Green Lantern last summer. Both movies feature characters with pretty impenetrable mythology. But the way Marvel approached it was essentially, “Hey, let’s take it from a human point of view and have people comment on how crazy and ridiculous this all is.” It helped the audience get that, too. You get thrown head-first into Green Lantern. MW: And remember, too, it’s not just the impenetrable mythos that makes them very similar. The other similarity is that it’s also about heroes whose adventures span both the Earth and an intergalactic plane. In other words, in both movies you’re dealing with both the Earthbound and the celestial. One movie did it well, and one movie did it incredibly poorly. AVC: After your DC exclusive expired, what brought you back to Marvel in 2008? And what’s keeping you there right now? MW: I always liked working with Steve Wacker, who was my editor at DC in the last couple years. He was the editor of 52. When he left DC, it was a crushing blow to me, because of all the editors I worked with over there, I was the closest with Steve, and I felt the most simpatico with him. When he started calling me from Marvel and asking me if I was wanting to pitch in on Spider-Man here or there, I can’t say no to Steve. What’s keeping me there now is Daredevil. Steve came to me with Daredevil a year ago. At that time, I honestly felt like it was a horrible decision on his part. I thought I was the worst guy in the world to do Daredevil, because Daredevil for my entire adult life has been a dour, dark, crime noir book with a very, very sinister edge of despair. All those things can make for great stories, and I really enjoyed reading Daredevil over the years, but I don’t write that stuff well. I was pleased when Steve came back to me and said, “Well, you don’t understand. We understand that’s not what you do well. What we understand is that we want to make this a little more of a superhero book than it’s been in the past. Just a little bit. Turn the dial. Keep it street-level. Keep it fairly serious, but turn up the dial on the Marvel universe just a little bit.” That, to me, was a huge risk. There’s an alternate universe out there somewhere where we launched Daredevil like six months earlier or six months later, or something was wrong with the timing or any number of factors, and readers rejected it because it wasn’t Frank Miller or Brian Bendis. It could have easily gone that way, because from my point of view, we took a real gamble in radically changing the tone of a book that has had a very consistent tone for the past 25 years. AVC: You have some of the best artists in the industry on that book. MW: That’s everything. Think about it. We have three Eisner nominations this year for best pencil-and-ink team, or rather, five nominations this year, and three of them are working on Daredevil. I think that is an incredible testimony to what Steve Wacker and his editorial team can do. Steve has a great eye for this sort of stuff. Yeah, if we’d launched Daredevil with a B-level artist nobody cared about, or if we launched Daredevil with some guy who nobody was excited about, or who couldn’t bring anything to the table, the book would be dead by now. I was lucky enough to latch on to really good guys and let them do all the heavy lifting. AVC: And they’re joining a legacy of really great Daredevil artists. What about that character makes him such a great fit for comic-book visuals? MW: I think a couple of things. One is that, because he’s street-level and yet dresses up in a big red costume and swings around a billy club, I think you have a wider range of kinds of stories you can do with Daredevil than you do with some other Marvel characters. So that helps give him a real wide visual range. I think if you’re doing the powers right, if you’re working hard to find new visual ways of expressing these enhanced senses and the radar sense and so forth, like Paolo [Rivera] and Marcos Martin and Chris Samnee are doing now, I think that is a joy. Certainly talking to Paolo and Chris both, I know the most fun they’ve had working on this book is when we’ve gotten on the phone and we’ve been talking about, “Okay, how do we show radar sense in a way we’ve not seen before?” or, “How can we express Matt’s super hearing in a way that is unique to comics that you can’t do in any other medium?” Those sorts of questions, they answer by putting pencil on paper. I think that helps catapult them, well-deservedly, into the legacy of great Daredevil artists. AVC: With Marvel’s digital Infinite Comics, did they approach you with the idea, or did you approach them? MW: They approached me. [Chief Creative Officer Joe] Quesada and I have known each other forever, and he knew I was working on something very similar. Out of the blue one day, he calls and says, “Listen. I’ve been looking at the work of Yves Bigerel, the French artist who helped define what digital comics are, and I’ve been looking at some other guys, and I know you’ve been looking at that same sort of stuff. Here’s what we’re looking at doing. Can you help us figure out the best way to do it?” I was all over it. I was very flattered by the fact that Joe was paying attention to what I’d been working on, and what had become my pet project. So while we were putting together the beginnings of the Thrillbent site, I also basically came across town and worked with Marvel and helped them develop the storytelling tools for the Infinite Comics they’re doing. It was the joy of collaboration, because it was me and Stuart Immonen, who is a very forward thinker when it comes to artwork and how to make artwork on a digital platform. I’ve been really lucky to be working with him and some other guys in upcoming issues, guys who are really interested in exploring doing comics for digital. That doesn’t just mean doing print comics and scanning them in. AVC: You’ve worked with or spearheaded a couple of start-up comic-book companies. What did each of those different experiences teach you, with CrossGen and then BOOM! and now going to Thrillbent? MW: The biggest takeaway from CrossGen was… [Laughs.] Don’t create a universe. That’s the biggest mistake you can make, man. Don’t bite off more than you can chew, and don’t create a damn universe. Just concentrate on doing good comics that make sense, and the stories are good, and don’t worry about servicing some overall, artificially created shared reality between 22 different series. You’re asking too much of your readers at that point, and also, it’s a lot for anybody to bite off and chew at this point. The Marvel universe works because the Marvel universe grew organically, and it grew out of the creative vision of Stan [Lee] and Jack [Kirby] and Steve Ditko and Larry Lieber and a small, small, small handful of guys. All right? Whereas other universes tend to be very ad hoc. That’s why the DC universe is never going to be as strong a shared universe as the Marvel universe, because the DC universe—and it’s not to pick, it’s just a statement of fact—the DC universe was created out of properties that coexisted for 50 years before they met. Frankly, there’s not a whole lot of difference between putting Green Arrow and Captain Marvel in the same story as there is putting Calvin and Hobbes and Mary Worth in the same story because they’re both comic strips. Whereas the Marvel universe, they created organically. At CrossGen, they tried to jumpstart it organically, but still, it was with an idea toward creating some sort of mega-universe you had to invest tons of time and money into as a reader to get all the nuances out of it. And even then, it only lasted a couple years. That universe never paid out. And where are they now? That was the big takeaway from CrossGen. From BOOM!, it was interesting. The heartbreaking takeaway from BOOM!—and this is a credit to BOOM!, that they continue to be in the game and doing good books and making waves in the industry—but when I came aboard, the stated goal was: Let’s do 60 percent original properties and 40 percent licensed properties. You know the licensed properties will pay the bills better than the more experimental, in-house properties. And 60/40 was a rough, back-of-the-envelope estimate, but basically, that was our rule of thumb. Unfortunately, after I was there a couple of years, almost three years, I looked at the solicitation copy one month and sort of realized that other than Irredeemable and Incorruptible, which were my two books, everything else we were publishing that month was a licensed book. And realizing how the market, as it exists now, is not very kind toward non-superhero material, is not very kind toward new, experimental stuff. There are outliers that leap out every once in a while. Brian Vaughan’s Saga is a good example of something that has taken off quite well in the last few months, but most stuff has a harder and harder time breaking even in print if it’s not done by Marvel or DC, and if it’s not a superhero book. So that was the takeaway from BOOM!, is realizing how expensive these books were getting to cost to print. As demand for print across the world continues to drop, those books become more expensive to print. And then realizing how harsh the market is for properties that aren’t established licensed properties, or aren’t established superhero properties. AVC: And then with Thrillbent, which is your most recent, what are you learning right now? MW: [Laughs.] I’m learning that coming out weekly with a digital comic eats up a lot of real estate really fast. Now I feel for the guys who used to do comic strips in the ’50s and ’60s and how they would have to work so far ahead, and see how quickly that stuff was eaten up by deadlines. I’m learning a lot of stuff, and it’s all good, which is great. The whole point of Thrillbent was to try to demonstrate that there must be some other workable distribution model for the comics medium aside from the one that already exists, the direct sales market, which is level, but is not in a position to grow by leaps and bounds anytime soon, and again, caters very much to a small handful of stores. This was an attempt to try to broaden that readership and try to bring what I know from 25 years of craft and 25 years of putting comics together, kind of bring that to a digital platform with a wider distribution, and see what comes of that. We didn’t go in whole hog. We didn’t go in with six or seven brand-new series that were launching immediately. I wanted to do a soft launch, because it’s also not about setting the world on fire tomorrow. It’s about taking tentative steps into that arena and doing sort of a shake-down cruise for a couple months with a soft launch, where it’s just me and John Rogers and a couple of other people working on smaller short stories or smaller series. Once we have our foothold, once we’ve figured out things like revenue stream, once we’ve figured out the technical end of things, once we’ve refined our storytelling skills for this new medium, then by the end of summer the idea is to get Thrillbent up and running where we can have something brand new every day on that site. For the time being, on the grand level what we’re learning is how to create a revenue stream for something like this. On the small micro level, what we’re learning is just the simplest of production skills needed to create—and craft skills—needed to create standalone comic strip that is 10 to 12 screens in length and yet tells a complete story with a beginning, a middle, and an end and a cliffhanger to bring you back next week. It’s the hardest writing I’ve ever done, writing in that short burst installment sense, where I want to make sure there’s enough story progression where you’re not sorry you came. I don’t want you to ever get to the end of an installment on Thrillbent and go, “Eh, I could have waited until next week to read that.” I want there to be enough meat on the bones there where you feel like it was worth your time to come, but at the same time, I want there to be that punch at the end of every installment that makes you dying to see what happens next week. To be able to do that in what is essentially four or five standard comics pages’ worth of material is a bear, but I’m learning. AVC: Shorter writing is so much harder. MW: It really is. I always said that comics is all about the economy of storytelling. I’ve always preached that. If you can leave it out, do leave it out. To me, that’s what made Watchmen the quintessential greatest American comic. It’s not the characters, although they are great. It’s not the story structure, although it is great. What to me made Watchmen an exemplar and an absolute textbook is its flawless storytelling. There’s not one single line of dialogue or one single illustration in that graphic novel that is out of place or superfluous to the main narrative. That’s what I strive for every time I sit down and hit the keyboard, but boy, it’s much harder to do that in four or five pages every week than it is do it with the elbow room you get in a 20-page comic. If you make a mistake there, it’s buried somewhere in those 20 pages. If I make a mistake within an installment of Insufferable, it’s only seven or eight screens’ worth. It’s going to be out there. AVC: You’re selling your comic-book collection to pay for Thrillbent. What books are you saddest to see go? MW: I think I’m saddest to see my Silver Age DCs go. I’m saddest to see my World’s Finest collection go, or my huge run of Adventure Comics starring Superboy. Any of the things I put together over the years as a fan, going to conventions. Anybody who’s ever seen me on the convention floor knows that a lot of convention pros, you can find at the bar, and a lot of other convention pros, you can find behind their tables schmoozing with their fans. I’m the guy on the floor going through the $1 boxes and diving through the long boxes looking for that old issue of Star-Spangled Comics I’m still missing. Letting that stuff go all in one giant wave, where I have a guy come over with his winged monkeys and just spirit away an entire wall worth of comics… It’s very strange to, for the first time since I was 4 years old, say that I have no comic-book collection. It’s very odd. It was cool to be the kid with the most comics on the block when I was 14, but now that I’m 50, it’s not as cool. On top of that, it was time. It felt like the time, because for years and years, I have been a DC collector. Ninety percent of that collection is DC Comics, and I kept everything. Even if I was never going to read it. Even if there was very little chance I would ever use it for research or study. I kind of felt like there was some sort of weird, almost moral imperative for someone to be the librarian and guardian of the DC universe, if you will. That was kind of my self-appointed job, which is why research companies and encyclopedias and book publishers still come to me repeatedly with questions about DC Comics history. But we reached a point a couple years ago where I wasn’t enjoying DC Comics as much as I used to, and then when we did the break to the New 52 last year, it sort of felt to me—and this is not a judgmental thing—the final jumping-off point for me, a breaking point where I could say, “My time in service of the DC universe that I love has ended, because it doesn’t really exist anymore.” Now I can concentrate on the new, I can concentrate on taking that time and energy and creating my own material and looking to the future and trying to figure out what comics are going to be like in the 21st century. AVC: What can people look forward to seeing from Thrillbent? Is it going to be mostly superhero series? MW: No. In fact, it will be exactly the opposite of that. I led with costume adventure stuff only because I say it was a soft launch. I’m trying to do so many new things with Thrillbent, not just the digital, but the storytelling itself, trying to create new revenue streams, trying to figure out how to serialize. There’s so many new things that I wanted to at least hang on to one thing I knew how to do well, and that was costume adventure stuff. But that will be the only one for the time being. We will be seeing more and more material on that site. By this time next month, there will be at least two regular series, maybe three, by myself and John Rogers. Then from there, we want to expand to an everyday thing. Insufferable should be the only remotely superhero thing on there. I want to get into the other genres that don’t fare as well in print comics these days, like supernatural, horror, Western, science fiction, comedy. All that stuff can play pretty well to a non-comics audience, but doesn’t play very well to a specific comic-shop audience. With Thrillbent, the tagline for the site is “Comics for the rest of us.” To me, that means not only comics for those of us who don’t have comics shops near us, but also comics for those of us who want more than just capes and tights. AVC: If you were able to give 20-year-old Mark Waid one piece of advice, what would it be? MW: [Laughs.] “Read your contracts more closely.” That would be one. No, you know what? The advice I would give 20-year-old Mark Waid is, “Never forget that at the end of the day, as a creative person, your résumé is all you’ve got. So even when you’re starting, even when you’re trying to carve out a place for yourself in the industry, don’t take assignments for any other reason than because you want to do them, or because you feel like you’re going to do a good job. Don’t take assignments because they’re high-profile, don’t take assignments because you think they might be good for your career or something like that. Take the stuff that means something to you, because at the end of the day, your résumé and your reputation are all you’re left with.” I would’ve done my career a little differently in retrospect. There are assignments I took, or times I took a gig here or there because they were personal favors, or because I thought this might be a way of advancing my career, or because I wanted to help out an editor or something. In retrospect, none of that stuff matters as much as doing good work on a regular basis. AVC: What’s your ideal vision for the business model of the comic-book industry? MW: Self-publishing on the web, covering production costs through inexpensive downloads and/or donations, then aggregating in print along with special bonus features for those fans who want a physical object to put on their shelves. Skirting around the big players like DC and Marvel, and realizing that with social media being the power it is now, if you’re willing to put the time and effort into it and your work is good, you can build a self-sustaining fan base that may not kick in enough to buy you a new BMW every year, but can at least make your enterprise profitable, where you’re making a decent living doing what you love. But it’s all about driving traffic to your site and to your work, getting as many sets of eyes on it as you can. AVC: What comics are you really enjoying right now, both in print and digital? MW: There’s a digital comic called Power Play, drawn by Reilly Brown and written by Kurt Christenson, that plays around with the digital form in really exciting ways and remembers that it is its own medium. What else do I like out there? A lot of the stuff the Blind Ferret guys do: Hijinks Ensue or The Gutters. They’re doing their digital comics in exciting ways. People who are interested in just trying to take the form in a different direction and try to remember it’s not just a print comic translated to your screen are the ones who excite me. In print, Walking Dead is still compelling, and I still follow Grant Morrison religiously. I love what Walt Simonson is doing with The Avengers, because he’s Walt Simonson. I really am enjoying Manhattan Projects by Jonathan Hickman. I like reading anything Matt Fraction does, because there’s a real pop to it. I do spend more time away from the superhero genre these days than inside it, but there’s always still a lot of good stuff out there to find in print.